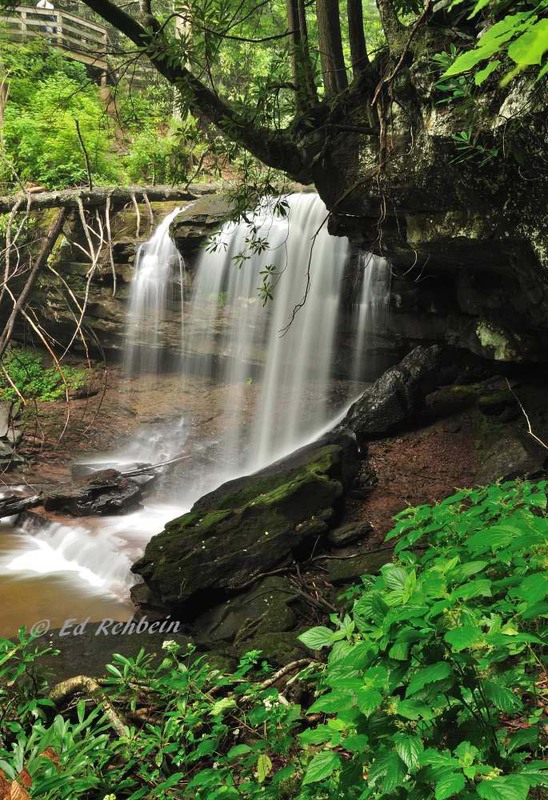 High in the southern Allegheny Mountains north of Hillsboro, West Virginia, a trio of falls on Hills Creek tumble through a rugged gorge forested in rhododendron, towering hardwoods, and more than three dozen varieties of wildflower. 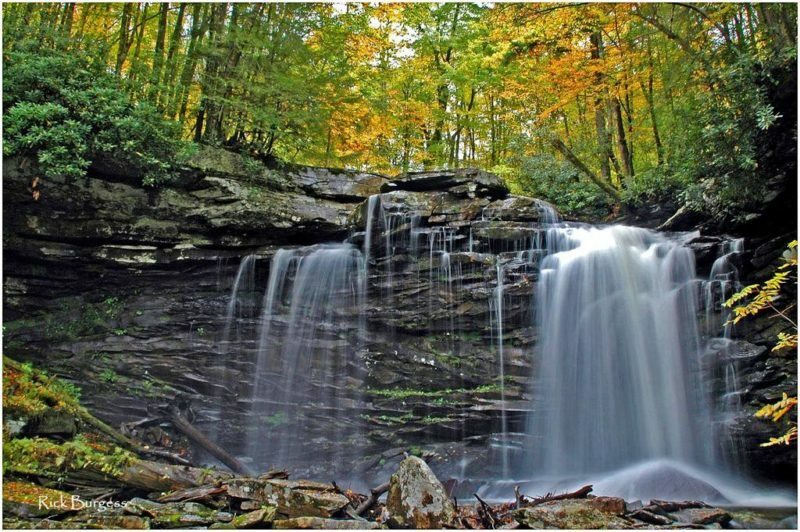 The three falls – 25-, 45- and 63-feet high – grow ever taller as they rush over sandstone ledges and careen around mossy boulders in the Monongahela National Forest. A gently sloping 1,700-foot paved walkway leads to a viewing platform for the first and smallest of the falls. The journey afterward becomes more strenuous as a series of stairs, boardwalks, and pathways guide visitors to the lower falls. The viewing platform for the third and largest of the falls (the second highest falls in West Virginia) is reached by an elaborate metal stairway of 382 steps. The three natural wonders were formed as soft layers of red shale eroded much faster than the harder sandstone that overlays them, causing large chunks of the sandstone to fracture and fall into the bed of the stream. 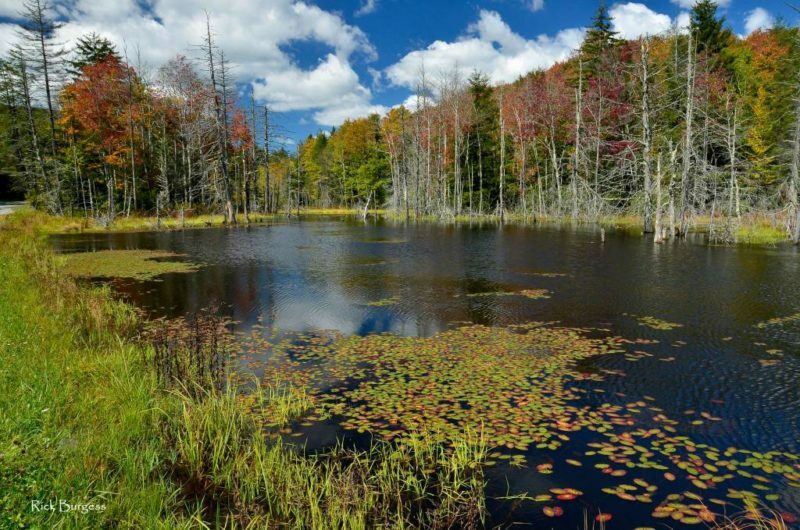 This process continues slowly over time as the water of Hills Creek, considered some of the most pristine in the state because of the lack of agricultural and industrial development in the watershed, reshapes the landscape. Visitors should allow an hour or more to traverse the three-quarter-mile route from the parking area to the lowest falls. The 114-acre scenic area surrounding the falls is open daily May through October and on weekends in April and November. The Falls of Hills Creek is located off WV-39/55, five miles west of the Cranberry Mountain Nature Center. The falls are located approximately 23 miles east of Richwood, West Virginia, and 20 miles west of Marlinton, West Virginia. More information is available at nature center or at the U.S. Forest Service online guide to the falls.